SIMFEROPOL, November 30. /TASS/. Crimean crossing points on the Russian-Ukrainian border continue to operate normally, the press service of the Russian Federal Security Service (FSB) Border Service in Crimea told TASS on Friday. "All three crossing points operate normally, there are neither entry nor exit issues. The situation is calm," the press service said. Ukraine’s State Border Service earlier said, citing the declaration of martial law, that only Ukrainian ID holders would be allowed to cross the border in Crimea. 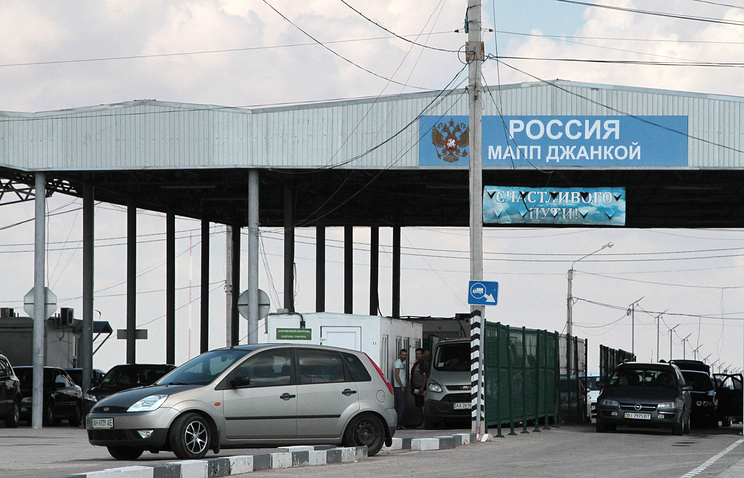 Numerous Russian nationals have been barred from entering Ukraine since Monday. In particular, nearly 100 Russians who took flights from Moscow to Kiev in the past few days were denied entry and had to go back. According to Ukrainian State Border Service Spokesman Andrei Demchenko, the key reason why Russian citizens are prohibited from entering Ukraine is their failure to explain the purpose of their visits. On November 26, Ukraine’s Verkhovna Rada (parliament) approved President Pyotr Poroshenko’s decree declaring a 30-say martial law in the Vinnitsa, Lugansk, Nikolayevsk, Odessa, Sumy, Kharkov, Chernigov, Donetsk, Zaporozhye and Kherson regions, as well as in Ukraine’s territorial waters in the Sea of Azov, starting from November 28. A Sunday incident in the Kerch Strait was used as an excuse for the move. On November 25, three Ukrainian navy ships illegally crossed Russia’s border and tried to carry out some illegal actions in Russian territorial waters on Sunday night. They ignored legitimate demands to stop issued by vessels belonging to the FSB Border Service and the Black Sea Fleet and continued maneuvering dangerously. In order to stop the Ukrainian ships, weapons had to be used. The three vessels were detained in Russian territorial waters. Three Ukrainian military servicemen suffered light wounds and were provided with medical assistance. A criminal investigation has been opened into the border incident. Moscow branded Kiev's stunt in the Kerch Strait as a dangerous provocation, while the European Union and NATO called for a de-escalation of tensions.